Come enjoy the warm hospitality of the B&B“La terrazza fio...Rita”recently opened in Ripa , a castle dating back to the XIII century. 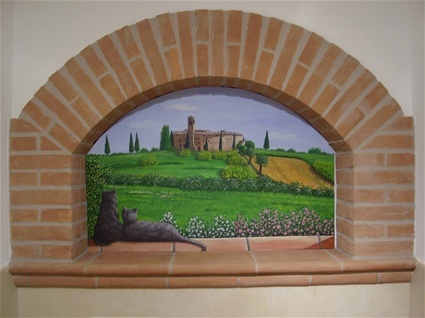 It lies in the very heart of Umbria, only a few kilometers from the main points of cultural and artistic interest of the region. 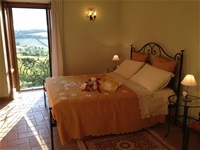 The establishment offers three comfortable bedrooms, air-conditioned , with private bath and a splendid view of the Umbrian hills and the city of Perugia. 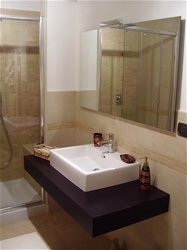 Our guests will have the use of a small fridge, a microwave oven and a hair dryer. We also thought our younger guests with a cot with bars, high chair, changing table and baby bath. Our specialty is the abundant and tasty breakfast served on the panoramic terrace. We will be happy to supply you with information on itineraries and places to visit in the surroundings and especially on noteworthy restaurants and “pizzerias”. 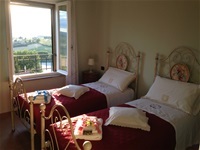 The B&B is located in the castle walls which were completed in 1264 and are the most ancient part of the town. Ripa is a circular walled town and has only two accesses: the two city gates, “Porticella” facing north-west and “Montarone” on the south-eastern side. The distance between these two gates is of only 150 meters.The town rises 315 meters above sea level and offers a view which spreads from Perugia (14 km away) to Assisi (12 km ). One can also make out the towns of Brufa, Bettona, Civitella d’Arna, St. Egidio and Santa Maria degli Angeli. On very clear days you can see Montefalco, Spello and Trevi. Its central location makes it very convenient as a base from which to visit the most interesting sights of the region, including the plateau of Castelluccio di Norcia and Colfiorito. The new airport of Peugia"Saint Francis"is a few minutesdrive fromRipa. Ripa is on the road which goes from Pontevalleceppi to Gualdo Tadino. It is easy to reach by taking the E45 highway (toward Cesena) and then branching toward Ancona. Hello! im interested in staying in your b&b for a month period of time...is that possible? 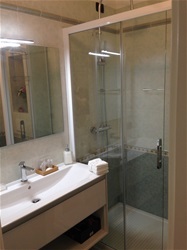 how much will a single room with bathroom will be? I was wondering if you had the two rooms available for the April 15 to April 16, one night, for two couples.